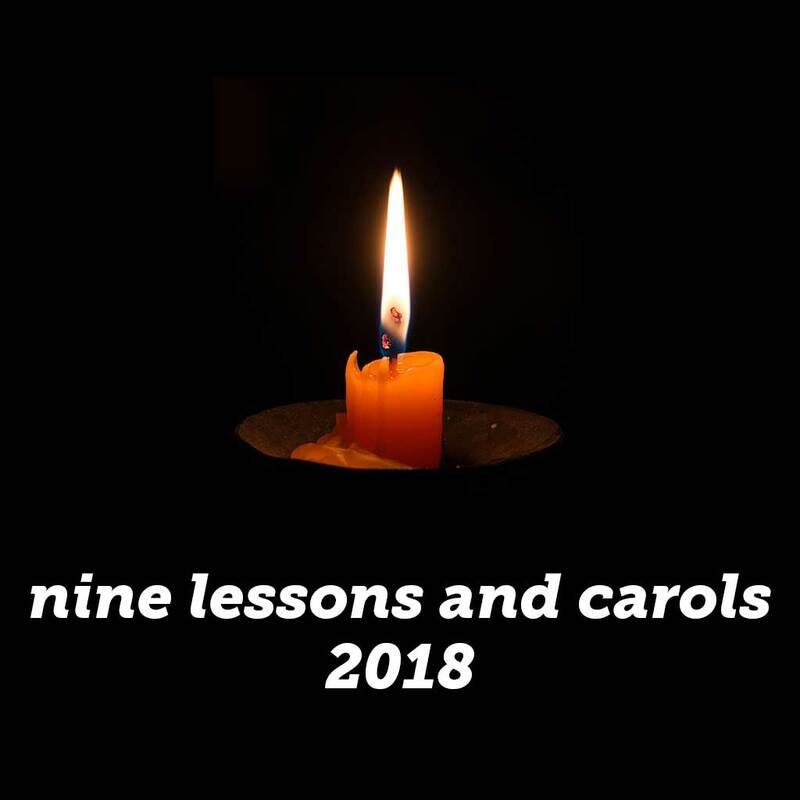 Each Christmastide on Spotify, I publish a playlist in the format of the Nine Lessons and Carols, something that we heard earlier today from King’s College Cambridge. From me to you all, I wish you a happy Christmas with friends and family near and far. In no uncertain terms, I am strongly opposed to the creation of any regulations or restrictions on private property owners to engage in artistic expression and paint a mural on their property. Further, I am concerned that if murals become regulated, other elements of personality and individuality will be up for additional regulations and the City would become one large homeowners’ association with all of the restrictions that have made HOAs infamous. In his 2011 book Triumph of the City, the Harvard economist Edward Glaeser made this comment: “There is great value in protecting the most beautiful parts of our urban past, but cities shouldn’t be embalmed in amber” (p. 136). Cities are living and breathing embodiments of our history where the present is informed by the past. Like museum relics, however, if something is embalmed in amber, it is most likely deceased. I am greatly troubled to hear about this row caused by murals painted in historic neighborhoods. I am sure that others have spoken to you about potential First Amendment implications and problems of mural regulation. I am also sure some have spoken to you about if it’s appropriate for City government to police murals painted on private property. As a Midtown community leader and a supporter of the arts, I am compelled to speak at this from a different angle. In the City’s 2015 General Plan, arts and culture is a core part of the City’s identity. 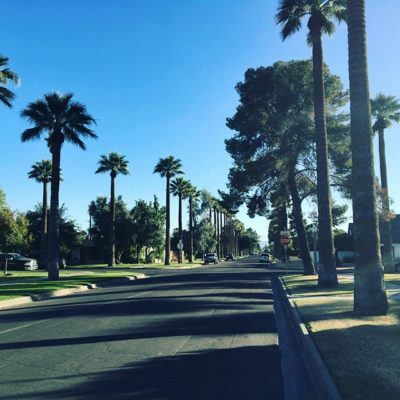 The General Plan’s goal for the arts in Phoenix is, “Ensure Phoenix becomes an Arts & Culture destination by encouraging new public art projects, maintenance of existing public art, and support for arts and cultural activities throughout our communities” (p. 126, emphasis mine). The General Plan was created through a celebrated program of community consensus. But now when its application is at hand, does this City- and community-driven plan mean anything, or will its guiding principles and specific recommendations be ignored? Creating regulations because a small minority of Phoenix citizens have complained about recent murals undermines the great tradition of free artistic expression that has made Phoenix a welcoming community for artists to make our city better and for all of us as urban advocates to keep fighting for Phoenix. In closing, I am strongly opposed to the creation of any regulations in any neighborhood to limit the painting of murals on private property. Like symphonic music? This edition of The Friday Five recommends some works for your weekend symphonies playlist. Complete with Spotify link, too! This is a personal blog, after all, so we’re taking things a little differently for this edition of The Friday Five: five symphonies that should be on your list for the weekend and some suggested recordings. If you’re on Spotify, you can subscribe to the playlist here. 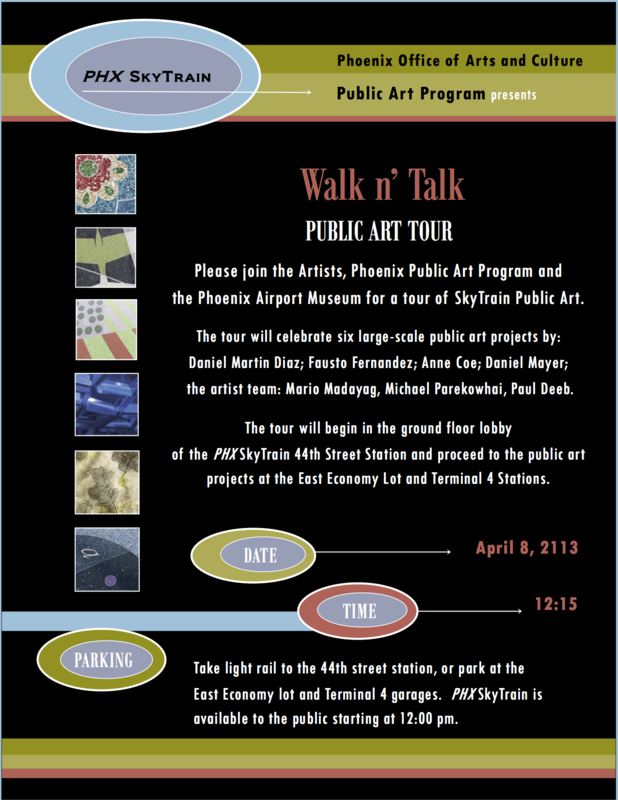 The PHX Sky Train opens tomorrow and the art is the attraction! Learn about a tour that takes place tomorrow that showcases the new public art. A documentary on the urban park development movement titled “Olmsted and America’s Urban Parks” will be the subject of a free, public screening at Civic Space Park’s A.E. England Building, 424 N. Central Ave., on January 12, 2012 at 6:30 p.m. The screening is a presentation of No Festival Required’s Building Community Cinema series with the support of the Speedwell Foundation, the City Parks Alliance, Arizona State University, Butler Housing Company, Phoenix Community Alliance, Phoenix Parks Foundation and the City of Phoenix.